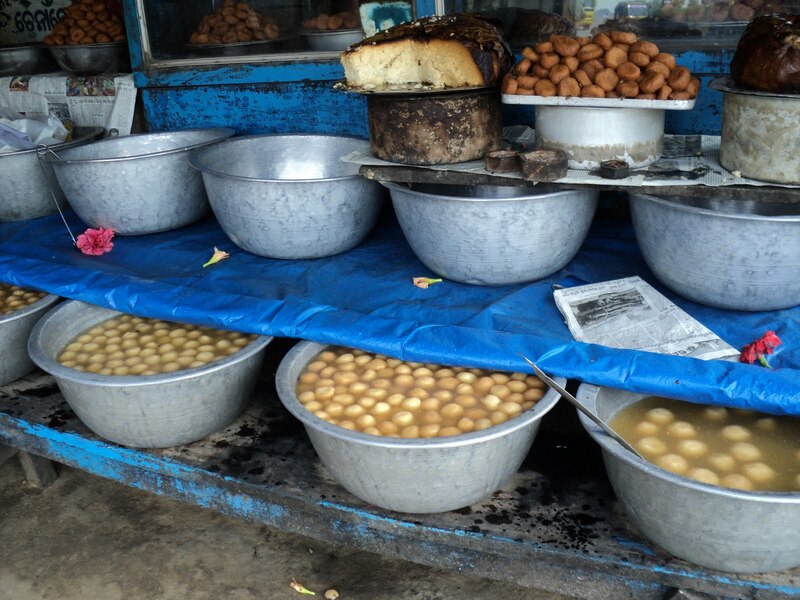 Rarely does a vehicle cross the National Highway 5 stretch between Cuttack and Bhubaneswar, without stopping at Pahala, Odisha’s biggest market selling rasagollas. Unlike other places in the country where the ubiquitous sweetmeat is spongy and has a rubber-like texture, here the sweet delights are extremely soft, served hot and taste divine. They are prepared fresh everyday with no additional flavouring or any preservative; the only ingredients are chenna (cottage cheese), semolina, sugar and a hint of elaichi (cardamom) for flavouring. There are three markets selling rasagolla in Pahala – the Kalinga, the Prachi and the Laxmi; the biggest one being the Prachi market. These have around 120 confectioners who sell the sweetmeat for around 18 hours a day. Their small shops with thatched roofs are not fancy enough to lure customers except for the mouth-watering rasagollas. Icing on the cake is you get two other chenna-based sweet varieties: chenna poda and chenna gaja. The confectioners belong to the small village of Pahala, located near the National Highway stretch. They do not believe in competition and interestingly, the sweets taste the same in all the shops. The rasagollas are prepared everyday late in the night. Chenna is kneaded with semolina and elaichi powder for about 15 minutes, shaped into small round balls and boiled in sugar syrup of thick consistency. The cheese balls are cooked in syrup till they start floating. Among the three, making chenna poda (cheese cake) is the most arduous job. At least 10 kg of cottage cheese is kneaded with semolina and sugar till it becomes light and airy. The dough is then baked overnight in an aluminium container covered with Sal leaves over a clay chulah (stove). Chenna gaja is deep-fried cheese soaked in sugar syrup. Recipes of these sweetmeats have been passed down from generation to generation but so far, there has been no change in the ingredients or the process of making the sweets, whose shelf-life is limited to just one or two days. Every day, the three markets do a business of several lakhs by selling sweets directly to customers and sending rasagollas to different parts of State. Odisha-based food historian, Usharani Tripathy says the tradition of making rasagollas is related to the Jagannath Culture. “In Puri during Bahuda Yatra when Lord Jagannath returns to His temple after a nine-day sojourn at Gundicha temple, He offers rasagollas to His wife Goddess Laxmi to pacify her. She is angry with him for not taking her along to Gundicha temple during Rath Yatra. This tradition is being followed for several decades now,” says Tripathy. Many believe that the precursor to Rasagolla was Kheer Mohan, which was offered to the Trinity at the Jagannath temple in Puri. Later, this evolved into the Rasagolla found in Pahala.